Dr. Jerry Young served as the founder and senior pastor of Grace Church with his wife, Loreen, for 33 years. The LORD filled Dr. Young with a vision; that Grace Church would be filled, not just on Sundays, but every day of the week: by a school that would equip students with a Christian education. And praise be to God for bringing Dr. Young’s vision to completion. 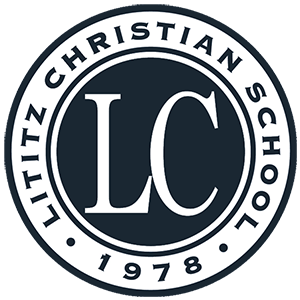 Lititz Christian was founded in 1978, beginning with grades 1-4. As the LORD continued to bless Lititz Christian, Dr. Young’s vision grew; in 1990, Morningstar, currently known as Lititz Christian Early Learning Center was founded to provide care and education for younger children (infant-K). The first senior class graduated in 1996. Since December 2010, Dr. Young has been at home with his Savior. Forty years ago, the LORD honored Dr. Young, his pure and humble heart, and his obedience to God’s calling to minister to children. Our prayer for Lititz Christian School and the surrounding community is that we would follow Dr. Young’s example: to faithfully reflect God’s heart for children through discipleship and teaching Biblical truth.